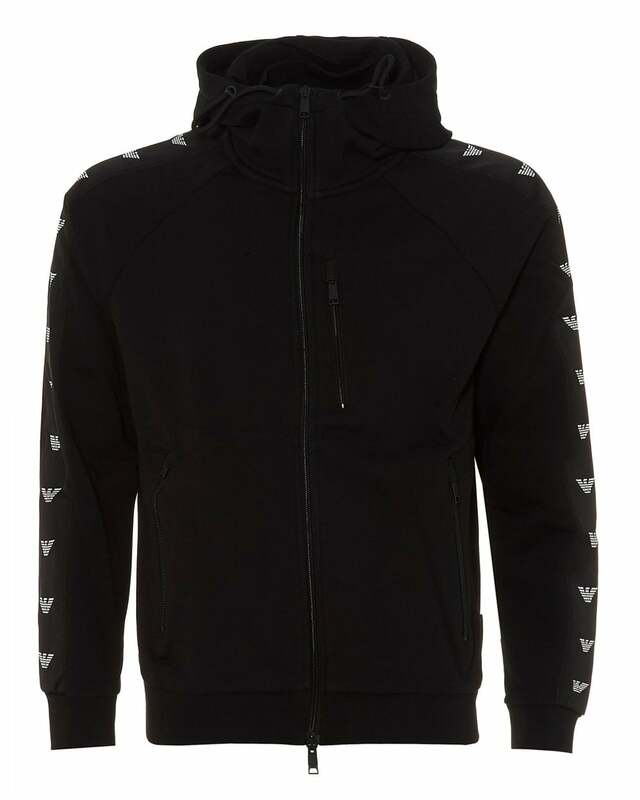 This statement zip hoodie by Emporio Armani is a statement piece to own in your relaxed wardrobe. Pair this comfy hoodie over a basic white t-shirt and joggers to add minimalist style to your casual outfits. Featuring the iconic eagle, taped down the sleeves, with three pockets and a drawstring hood.